I recently discovered Boston's own Jennifer Hill (thanks for writing to me Jennifer!) and simply love her perky prints. 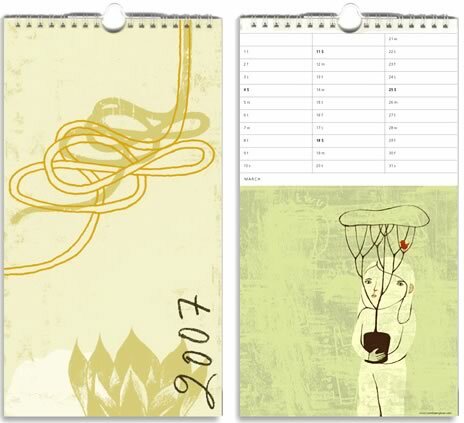 Clean bold calendars are available for both the desk ($15) or wall ($30). I own the one for the desk and can't wait to use it in '07! Her collection is called 'Places I've Never Been' and is based on how she interprets various destinations into illustrative form using shape, color, and pattern, all of places she'd not yet visited. Her papergoods collection includes fine art prints and cards, too. (thanks for the tip, Jennifer!) Shop online here. 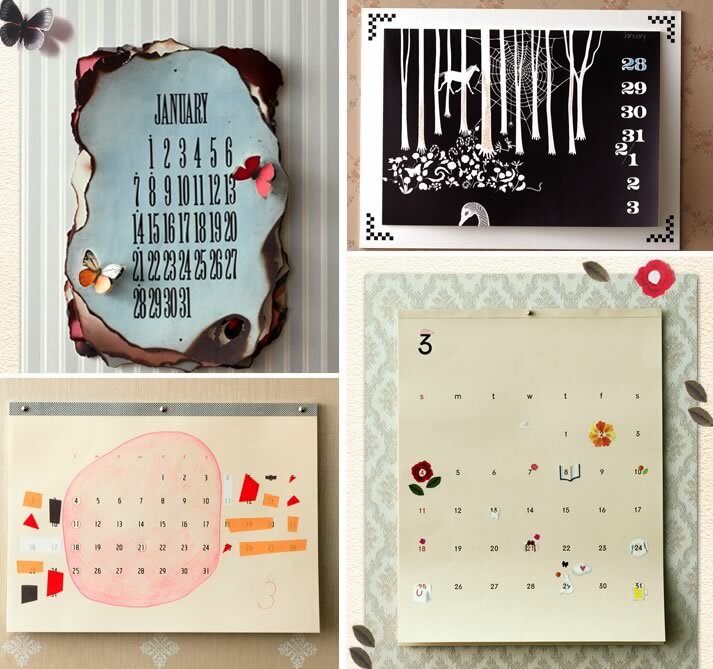 You can also purchase the desk calendar on Jennifer's new Etsy shop. 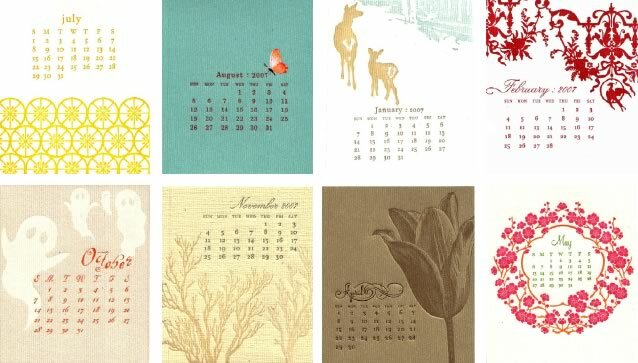 A super cutie - the Little Tree Press letterpress desk calendar with an extra deep impression for letterpress goodness. Comes with a silver holder. Sold at Broadway Paper for $30. 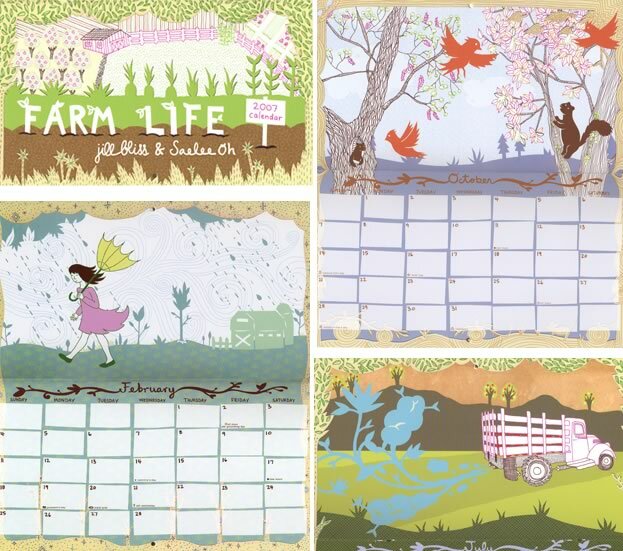 Jill Bliss Farmlife Calendar $16 (VIA: Happy Mundane - You rock, Jon!) If you're a Bliss fan, check out this great interview on Fred Flare. I love the latest creation from Good On Paper, the Save The Date calendar featuring two months per page of assorted designs. So pretty! $20. Of course, we can't forget the lovely Lotta Jansdotter. 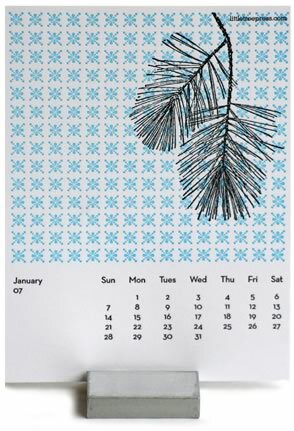 A blue calendar towel $18 (swoon!) 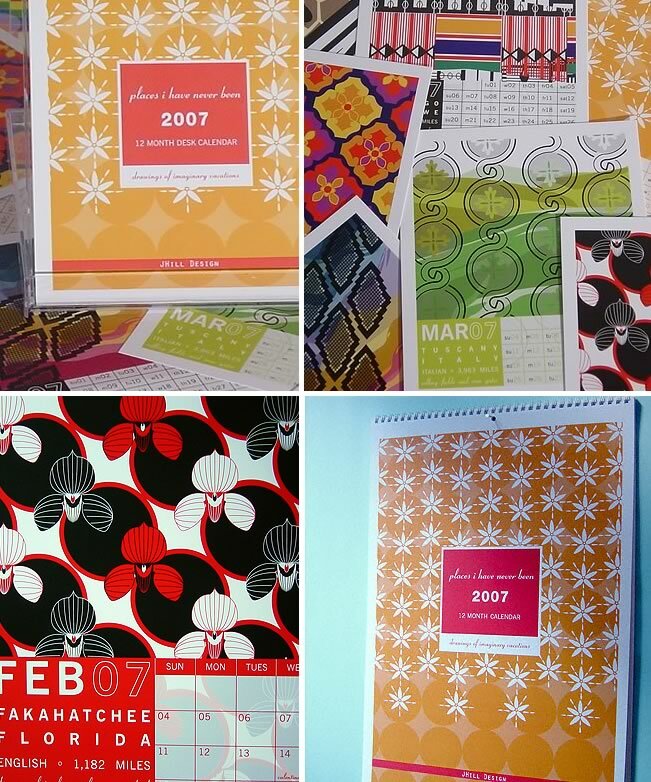 or a standard paper monthly with 6 designs $18. 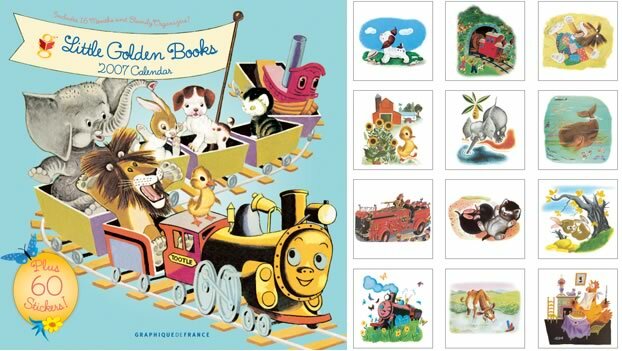 These calendars are from D-Bros in Japan, which can be located at Zozotown or the Hara Museum Shop in Japan (who sells and ships them abroad.) These are so unique and fun, they had to be from Japan. VIA: Oh Joy! 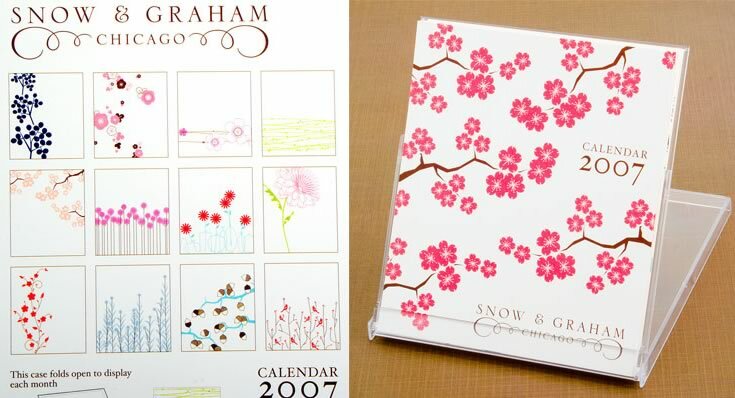 Snow + Graham desk calendar from our friends over at See Jane Work $18. Letterpress love - great patterns! Port to Port limited edition letterpress printed calendar. Delish. Even though I heard they sold out as soon as they hit her etsy store, I enjoyed the images so much that I wanted to post them anyway. VIA: Oh Joy! 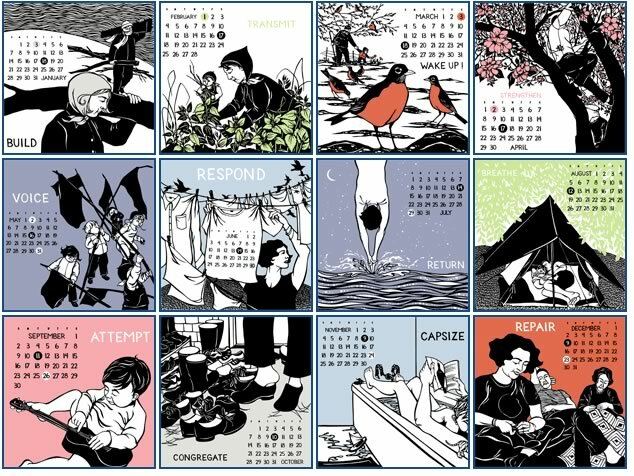 The Time Is Now calendar from Nikki McClure, from Buy Olympia. Bold and detailed, great wall candy for $16. More letterpress to love, this time from etsy seller ILee. ILee also has a website if you'd like to check it out. Hurry - limited selection! $17. This owl calendar from Tennis Anyone? in Chicago is a real hoot. 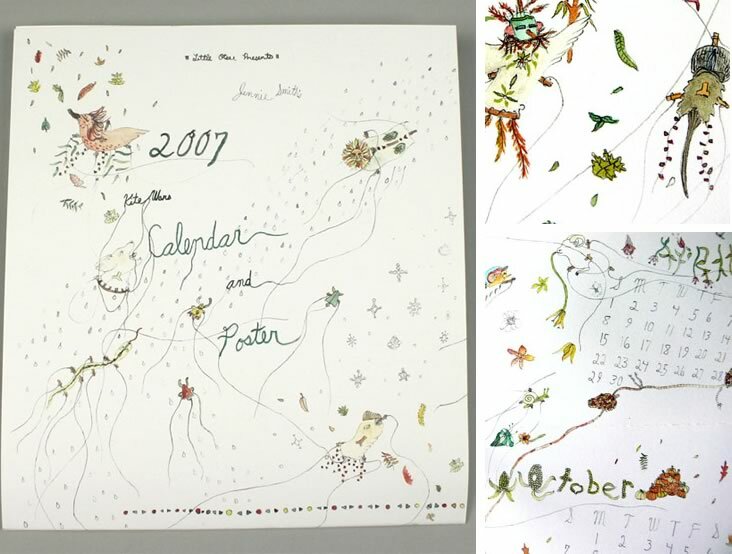 When 2007 is complete, you can trim this letterpress calendar, keeping the cherished owl as art! Only 5 in stock, so get flyin'! $12. 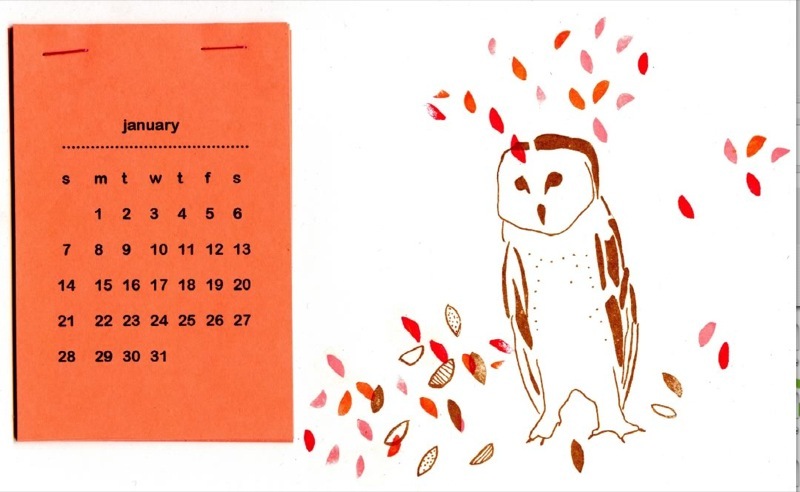 Wonderful whimsical calendar from Little Otsu and artist Jennie Smith from Cut + Paste. Could this be prettier? $11. 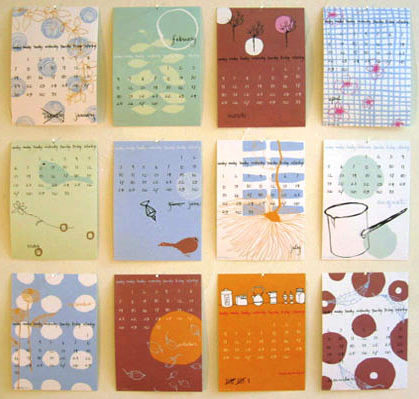 And of course, we can't forget Camilla Engman for 2007 and her lovely illustrated calendar for $24. We heart Camilla. Unsold Forum - Delightful Decals!